The Otoe, Chiwere are a federally recognized Native American people who reside on a reservation in Oklahoma. They govern their own government, laws, police, and services. They share the reservation with the Sac and Fox people . Historically, the Otoe lived as a semi-nomadic people on the Central Plains along the Missouri River in Nebraska, Kansas, Iowa and Missouri . They lived in elm-bark lodges while they farmed, and used tipis while traveling, like many other Plains tribes. They often left their villages to hunt buffalo. They speak English as only a few elders are semi-fluent in Chiwere. However, to maintain their unique identity, they perpetuate their tribal traditions with feasts, dances, an annual powwow and song leaders continue lineage, clan and tribal ties. They adhere to the Native American Church and Christianity. For more information, see the Otoe Missouria Tribe website. Pray God will strengthen their faith and that they will grow strong in their understanding of message of Christ. 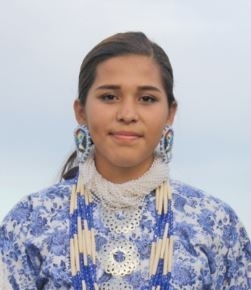 Pray God will rise up evangelical Otoe who will boldly share the message of Christ with unreached Otoe and other unreached Native American people.